New Additions to our Lineup! feat. our good friends Butternut Squash and Quince! As with any pavlova, this dessert begins with a meringue as its foundation, crispy on the outside and fluffy inside. 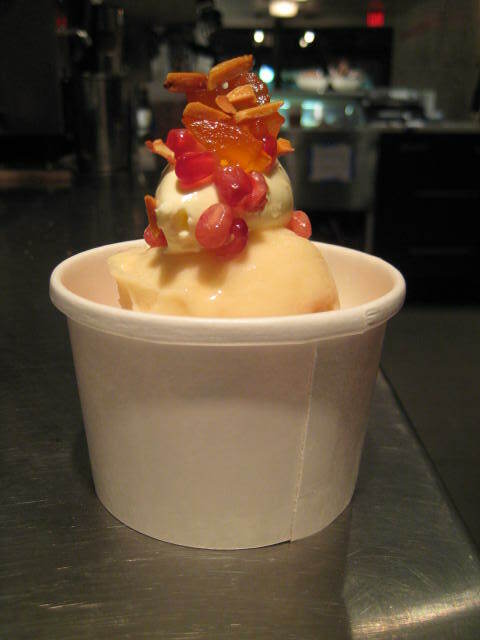 That’s topped with a slightly sweet, floral and tart quince sorbet. The dessert is finished with whipped creme fraiche, crunchy pomegranate seeds, candied grapefruit zest and roasted almonds. This is easily the lightest $6 dessert on the menu. For the crepe, we start with a butternut squash filling for the crepe, served warm. 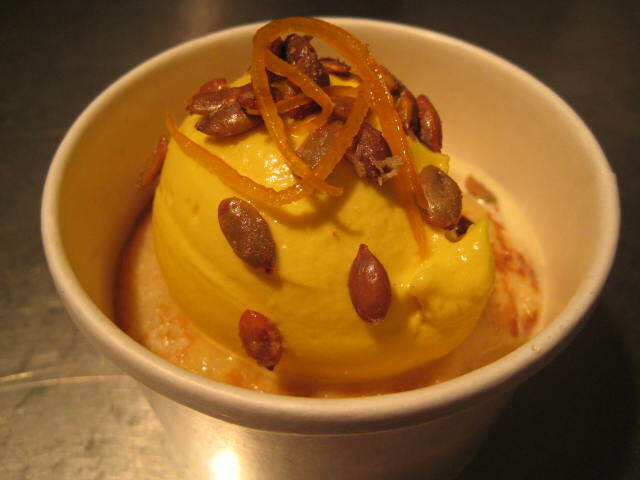 A butternut squash ice cream, earthy and cool, accompanies that along with roasted pumpkin seeds and candied orange zest. This is autumn coziness in a cup. Currently, these offerings are available exclusively at our store, DessertTruck Works. As always, everything is made from scratch here in our store.